This is getting a little creepy. According to one estimate, since last year the Department of Homeland Security has stockpiled more than 1.6 billion bullets, mainly .40 caliber and 9mm. 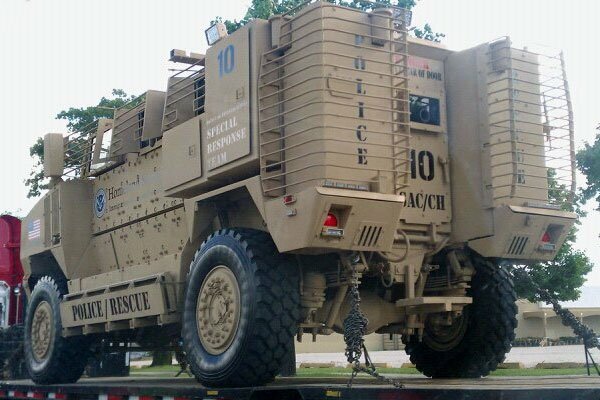 DHS also purchased 2,700 Mine Resistant Armor Protected Vehicles (MRAP). The MRAP featured in this video is was in Albuquerque, New Mexico for Law Enforcement Day which was held at a local area Target Store. This MRAP is stationed in El Paso, Texas at The Homeland Security Investigations Office. MRAP is a Mine Resistant Armor Protected Vehicle.